Seriously, I'm very much aware of other traffic when I drive around on spotting missions. And in case I have to slow down or make a stop, I've made it a habit to use my mirrors all the time. As for the U-turn today, belive it or not, I used my direction-lights...., first a couple or three to the right when turning off the road, then to the left. (So there I guess we can take 2.000,- off the ticket ). Jepp..., it's yardnr. 560 from Dockstavarvet AB in Docksta, Sweden. Here Photo`s from the Pilots Vessels: Voyager & Zeezwaluw. 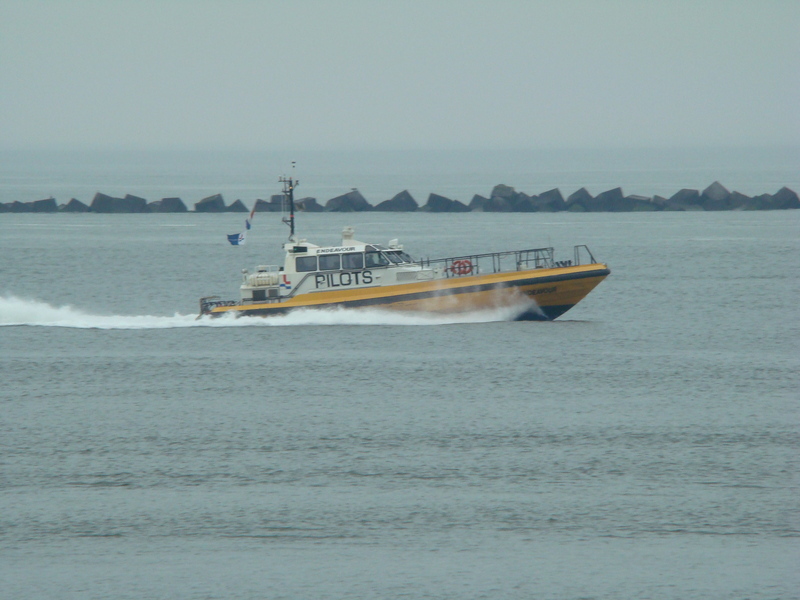 Nice pilot boats! These look really nice. What is their top speed? I see the two water jets sticking out of the stern and a large exhaust on the side. Very cool. The Enterprise has a very beautiful profile and seems to be a very powerful pilot vessel. I like her looks, and the images are great!